Developing a steady, recurring oil change business requires you to keep your company name in front of your customers. Of course, doing so in an efficient and cost-effective manner can seem like a daunting task. However, a big advertising budget or a fancy commercial team isn’t a requirement to remind customers that your shop is the right choice for their next oil change. Just one slim piece of static-cling plastic will keep your company’s name and phone number literally in front of your customers’ eyes. The stickers provide an appreciated service to your busy customers by reminding them of the next time they should change their oil. After all, how many drivers really take the time to keep track of mileage? Oil change stickers can make your customers’ lives even easier by including your shop’s phone number, allowing them to even call you from their car to make their next appointment. Who needs a phone book or an Internet connection to look a number up, when your oil-change stickers provide all the info your clients need within easy reach? Most importantly for your shop, oil change stickers are great at reminding your customers who they can trust with their precious vehicles. Why would anyone look for another shop, when they have that constant reminder of your great service stuck right to their windshield? The stickers also can be a great way to differentiate your shop from others by incorporating your company logo or even the ASE logo, if you have ASE-certified staff, which does factor into some car owners’ selection process. Best of all, you can have this name recognition, contact info and service reminder at a great return on investment. Oil change stickers are inexpensive – and much less costly than a comparable ad campaign. 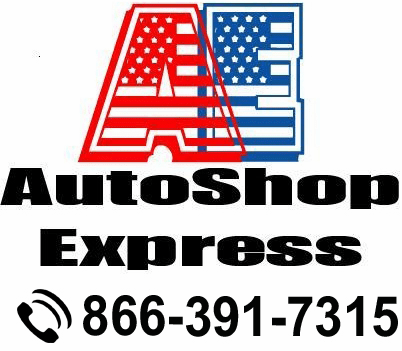 Call AutoShop Express at 866-391-7315 for the oil changer stickers you need to get your name in front of your most important asset – your customers – today.